Earthquakes are a way of life on Earth, and, whether you live in an area that is often affected by earthquakes or not, every building, every road, every bridge, and, in fact, almost everything constructed by humans in which we walk, sleep, live, sit, or visit, has to be constructed to withstand an earthquake, by following local, regional, or national codes, laws, and regulations. Further to this, the science and engineering behind these constructions go further than what is mandated by government as a part of their practice. All construction, and, in general, all life on Earth, has some risk of seismic impacts. A comprehensive description of any seismic action may be given only on a probabilistic basis and, in general, is very bulky and quite uncertain. However, for a variety of structures or systems that meet fairly simple models of behavior during earthquakes, a general description of the seismic action is not required, for prediction of the status of such facilities or systems may be sufficient to define one or more common parameters of seismic impact. Thus, it makes sense to search for optimal parameters of influence in which optimality is understood with the greatest ease with sufficient information. This book contains a description of several models of seismic effects and examples of implementation of these models at specific sites. Using this information, scientists and engineers can design structures that are stronger, safer, and longer-lasting. It is a must-have for any scientist, engineer, or student working in or researching seismic loads and constructions with a view toward withstanding seismic activity. 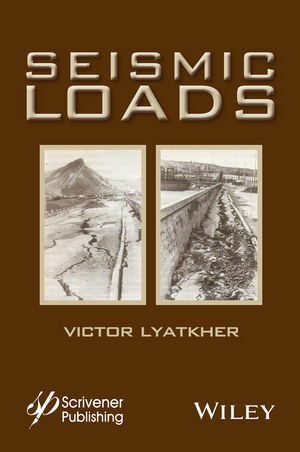 Victor M. Lyatkher, PhD, is a professor, engineer, and inventor.. He was educated in Moscow and Leningrad, and has developed and patented numerous processes and machines. These deal mainly with renewable energy sources such as tidal power, water turbines, and vertical axis wind turbines. He developed a new method to forecast long-term variations in the Caspian Sea level, and designed a new kind of low head turbine. Mr. Lyatkher has worked for over thirty years in the wind and hydro-power industry. He has received several prizes and awards for his accomplishments, including the Prize of the Council of Ministers of the USSR, the Award of the Indian Society of Earthquake Technology, and five medals of the All Union USSR Exhibition, gold, silver and bronze.He has published numerous books (in russian) on the subject of renewable energy, and was the original inventor of helical turbine, patented in the USSR in 1983.